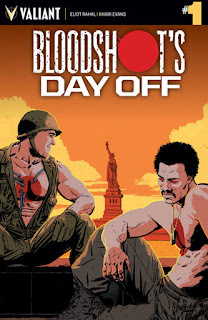 The Fellowship was fortunate enough to obtain a copy of BLOODSHOT’S DAY OFF #1 from Valiant Entertainment. Eliot Rahal writes, Khari Evans draws, Andrew Dalhouse colors, and Dave Lanphear letters. Tank Man and Viet Man have finally been rewarded for their years of unusual service – a day off, free to do whatever they want. Both have been out of circulation for a really long time, so they do what comes naturally. And both have very different stories on how they got involved with Project Rising Spirit. Even so, their stories in this issue are not so different by the end. I’ve enjoyed the Bloodshot stories up to this point, so I was curious to see what a new creative team would do with it. And I’m quite happy with the choice to flesh out some new characters. These are characters out of time, very different but united by one thing (no spoilers here). This is very well written, and the art is amazing, just as comfortable in one flashback timeframe as in the next. This is a much more emotional story than I was expecting, and in all of the best ways. If character development is your thing, go get this book. 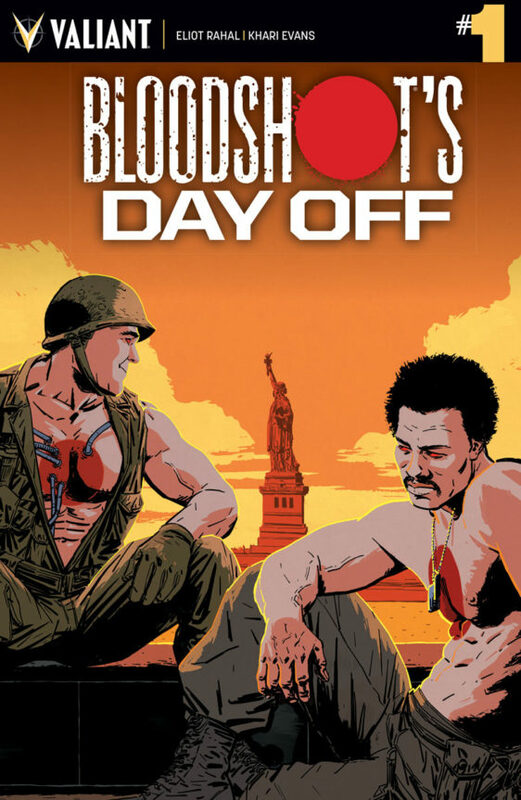 BLOODSHOT’S DAY OFF #1 is available now from your local comic shop, or online at valiantentertainment.com.